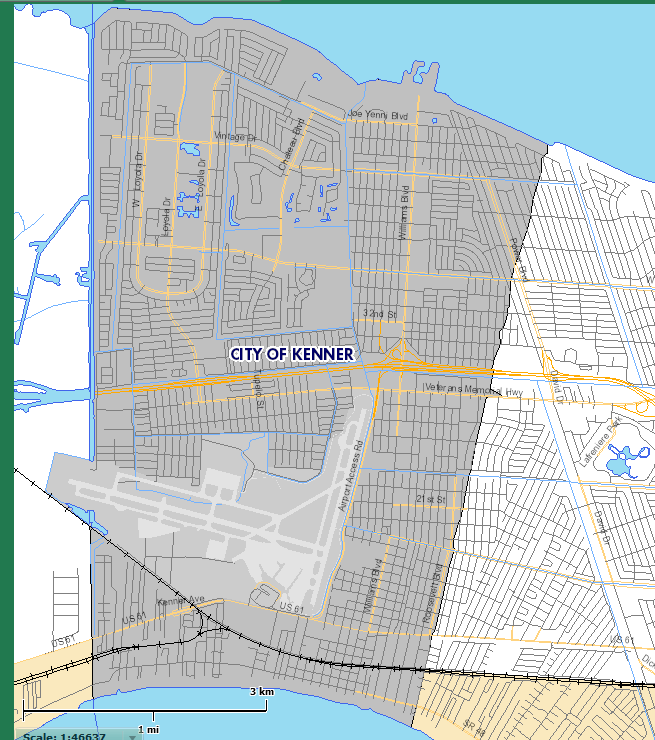 Kenner is like most zoning authorities in that they want to spell out in zoning ordinances exactly what is allowed, such as areas for blacksmithing, macaroni making, manufacturing of looseleaf paper, thermometers and wire brushes. Zoning codes also detail some silly permitted uses. This article compares the industrial zoning codes and clears up the confusion. Kenner, Louisiana, has its own zoning ordinance-separate from Jefferson Parish. The three main industrial zoning codes are Light Industrial, Heavy Industrial Zoning, and also the Special Industrial Zoning Code. Kenner was developed in the late 1960’s as residential and commercial growth expanded from Metairie and today the area has a population of 245,000. The Kenner Warehouse Market is considered part of the larger suburban Jefferson Parish Sub-Market within the New Orleans Metropolitan Area. The suburban Jefferson Parish Sub-Market (±26,651,960 rentable square feet in 920 buildings) is divided into three sub-areas: Elmwood (±20,203,566 rentable square feet in 541 buildings), Kenner (±4,286,170 rentable square feet in 237 buildings), and North Metairie (±2,162,244 rentable SF in 142 buildings). 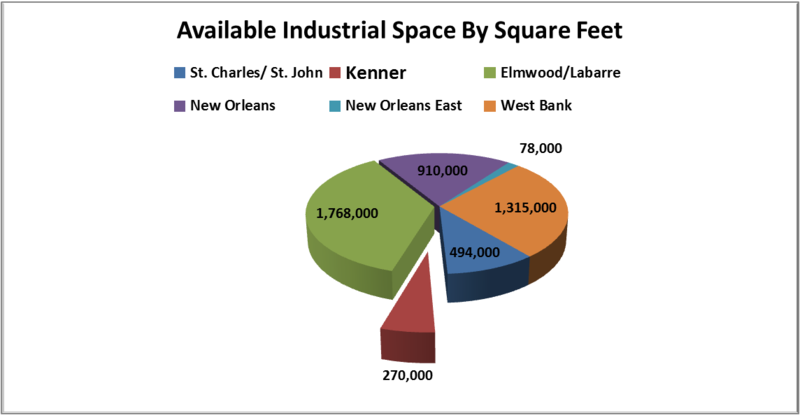 Kenner available industrial space represents 6% of the market (70,000 square feet of 4.835 million square feet). Industrial rent rates in Kenner average $3 to $5.50 per square foot. Industrial land prices in Kenner average $5.00 to $9.00 per square foot. Since Kenner has older industrial areas that grew out of nearby residential areas, the Special Industrial Zoning requires industrial businesses to make their sites attractive so they don’t conflict with nearby residential properties. There is no storage allowed in the front yard, and a landscaped front yard of 20 feet is required. Permitted uses can be commercial as well as industrial, but the only two businesses with detailed restrictions are cocktail lounges and adult bookstores.. Signs must be a maximum of eight square feet and less than 30 feet high and buildings have a maximum height of 75 feet. There is no difference in parking and loading zone requirements however. Zoning of Light Industrial areas still require uses to be controlled to make them compatible with nearby residential districts, and you still need a 20′ yard, but storage outside is not restricted. Uses detailed in the zoning ordinance allow industries not seen in Louisiana in 75 years, but its good to know you can manufacture boots, looseleaf paper, watches, thermometers, wire brushes and macaroni (with city council approval). These specific industries in the zoning code must be a result of some very fine lobbying by someone long forgotten. The room for interpretation tends to slow down the permitting process, making development more expensive, which results in older structures not being put to their highest and best use. The end result is a lower tax base and less resources for schools and government services. This zoning looks out for itself, with no regard to residential consideration. The purpose is to provide for all types of industrial uses, with the only detailed use not allowed being hazardous and obnoxious industries. Any use in the Light Industrial Zoning is also permitted except for residences. Specifically mentioned in this zoning code are permitted uses for cigar manufacturing (useful during WW2), junk yards, barge terminals and macaroni manufacturing (again). Buildings may have a height of 100′ and now require a 30′ front yard. The requirements for parking and loading are no more stringent than for Light Industrial and Special Industrial. Purpose The purpose of this district is to provide sufficient space in appropriate locations for certain types of business and manufacturing relatively free from offense, in modern landscaped buildings and to make available more attractive locations for these businesses and industries. This district provides a transition area between associated land uses. Residential uses are excluded, except for overnight facilities for watchman and/or caretaker employed on the premises. The purpose of this district is to provide for a wide variety of light manufacturing, fabricating, processing and other uses appropriately located near major streets or railroads for access and to control operations of industrial uses under such conditions to make them compatible with nearby commercial or residential districts. Residential uses are excluded, except for overnight facilities for watchman and/or caretaker employed on the premises The purpose of this district is to provide for industrial operations of all types except that certain potentially hazardous or obnoxious industries are prohibited. Residential uses are excluded, except for overnight facilities for watchman and/or caretaker employed on the premises. Permitted Uses Upon council approval as per section 23.02, any use permitted in a C-2 District, except that cocktail lounges shall be located at least two hundred (200) feet from any residential property. Adult Bookstores upon city council approval. Any use permitted in a S-I Special Industrial District. Truck Stop. Adult Bookstore. Boots, Looseleaf paper, macaroni on city council approval, watches, thermometers, wire brushes, etc. Any use permitted in a L-I Light Industrial District except for residential dwellings. Adult Bookstores, blacksmiths, cigar manufacturer, macaroni manufacturer, junk yards, barge terminals. Special Requirements Landscaped front yard. Hazardous or obnoxious uses and must be approved by the city council. No storage of materials in front yard. Signs Nonilluminated accessory signs as permitted in the RR-3 District except maximum height shall be thirty (30) feet above ground. Signs max 35′ high, as permitted in the C-2 District, except adult book/video stores and massage parlors which are not allowed to have descriptive art. Signs max 35′ high, as permitted in the C-2 District, except adult book/video stores and massage parlors which are not allowed to have descriptive art. Height Restrictions Maximum of 75′. Maximum of 75′. Maximum of 100′. Side None required unless abuts residential, then 10′. None required unless abuts residential, then 10′. None required unless abuts residential, then 10′. Rear None required unless abuts residential, then 20′. None required unless abuts residential, then 20′. None required unless abuts residential, then 20′. Yard: An open space other than a court at existing ground level between a buildable area and the adjoining lot lines, unoccupied and unobstructed by any portion of a structure from the ground upward except as otherwise provided herein. For the purposes of determining yard measurements, the least horizontal distance between a lot line and the buildable area shall be used. Yard, front: A yard extending across the front of a lot between the side yard lines, and being the required minimum horizontal distance between the street line and the maximum permissible main building. On corner lots the front yard shall be considered as parallel to the street upon which the lot has its least dimension.